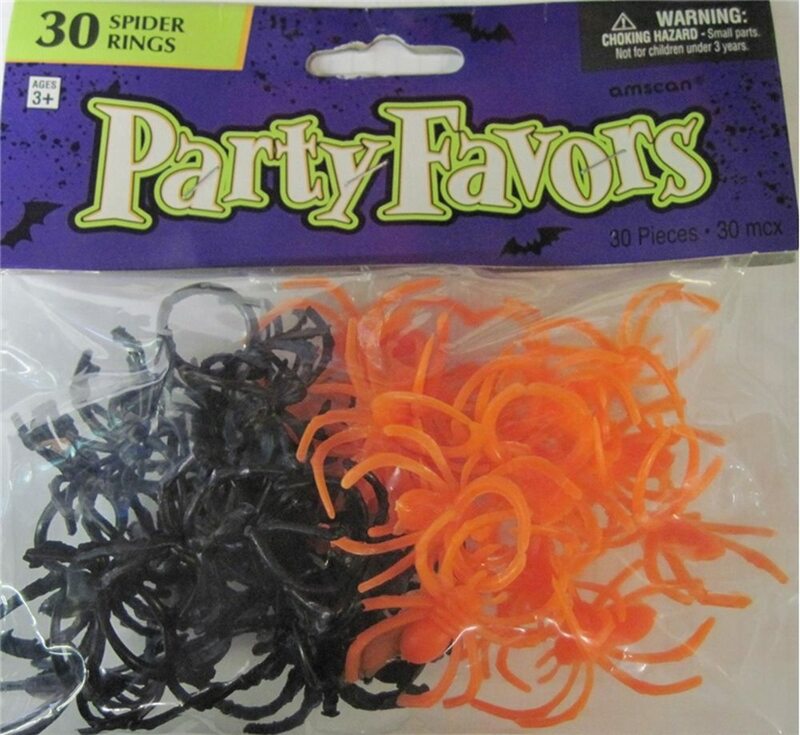 Spider Rings 30pcs.Includes: 30 Spider Rings.Colors: Orange and Black.These orange and black spider rings will be the hit at your Halloween bash! Great party favors that will be sure to spook all of your guests! Includes 30pcs of assorted orange and black spider rings. WARNING: CHOKING HAZARD - Small Parts. Not for children under the age of 3 years. These orange and black spider rings will be the hit at your Halloween bash! Great party favors that will be sure to spook all of your guests! Includes 30pcs of assorted orange and black spider rings.